Point2 Homes gives you far more than a simple list of houses for sale. Get instant access to a lot of relevant information about Greater Sudbury, ON real estate, including property descriptions, virtual tours, maps and photos. The search results pages also have a wealth of information on Greater Sudbury, ON, if you scroll all the way down. 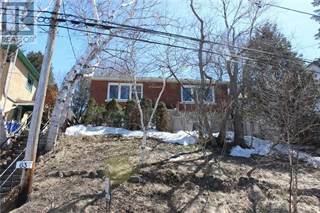 There are 472 houses for sale in Greater Sudbury, ON. Searching homes for sale in Greater Sudbury, ON has never been more convenient. With Point2 Homes, you can easily browse through Greater Sudbury, ON single family homes for sale, townhomes, condos and commercial properties, and quickly get a general perspective of the real estate prices. Also, you’ll never miss a bargain if you filter listings based on house price drops in the past six months. 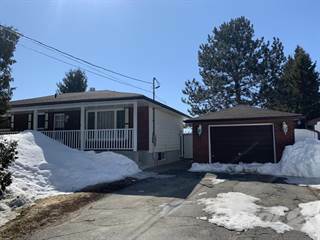 Use the map view to find Greater Sudbury, ON homes and apartments for sale, based on amenities or city features that you may want close by. You can close in on a specific neighbourhood or area by simply drawing around them with the polygon or radius tools. Stay informed about the latest entries on the real estate market by saving your searches. This way, you get new listings in your inbox, daily or every week, based on your preferences. If you’d like to get in touch with a professional, agents are displayed next to their listings, and they’re easy to contact through the online forms. 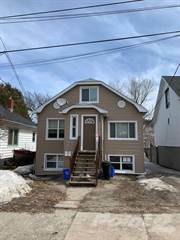 If you want more options, you can click the Tools tab and Find an Agent, and you’ll get a list of helpful and knowledgeable real estate agents in Greater Sudbury, ON. Visit the Point2 Homes blog and you can find up to date expert advice on many markets throughout Canada, regular market reports, neighbourhood scoops in cities throughout the provinces, real estate deals and useful recommendations. Greater Sudbury (formerly called Sudbury until 2001) is a city located in the province of Ontario. It is the 7th largest city in the province by area with a population of roughly 160,000 inhabitants, and one of the largest cities in Northern Ontario by area, taking up approximately 3,200 square kilometers of land. Starting off as a former mining hub many decades ago, it is now a major hub for several industries that include tourism, government and finance. Sudbury was once a major mining hub in Canada, particularly for its abundance of nickel that was highly valued at the time. Although mining is still present, it has taken a back seat due to its decrease in importance relative to other industries in the modern age. Over the past decade, Sudbury has evolved into a hub for government, education, and health services. Unlike other cities where the majority of the businesses tend to aggregate within the downtown area, Sudbury’s places of employment tend to be more spread out amongst its various districts. One of the things that makes Sudbury an interesting place for new citizens is its strong Francophone culture. There are very few places outside of Quebec that contain a strong French-speaking community, which leaves native French people with few other options for feeling at home in the country. Sudbury is currently the third largest French-speaking community that exists outside of the province of Quebec. Sudbury possesses many attractive options for its tourists and its citizens, including multiple art galleries and Science North, a science museum that provides interactive activities and remains one of the most popular tourist attractions in Northern Ontario. For those who are big fans of hockey, the Sudbury Wolves participate in the Ontario Hockey League year-round, and matches for more junior organizations are hosted at the Sudbury Community Arena. Those who prefer the outdoors will be delighted to find that that Sudbury is home to several trails that cover many kilometers. In the summer, they become roads for jogging, hiking, and biking. During the winter, they are quickly converted into cross-country skiing routes and pathways for snowmobiles. Although the divisions of Sudbury are not officially set in stone, it is commonly accepted that there is a North End, South End, West End, and East End. Each of these zones contains a few key neighbourhoods that define the overall characteristics of that zone. The North End of Sudbury is home to the communities of Capreol, Valley Easy, and Gatchell. It is home to smaller mom & pop shops, while providing convenient transportation routes towards the downtown area of Sudbury. Another nice feature of this zone is that residents will have nearby access to the Sudbury Memorial Hospital in the case of an emergency. The South End of Sudbury is home to its downtown area along with the Wanup, Long Lake, and Lockerby districts. These areas contain many of the biggest businesses and offices available in the city, and contain several community parks, shopping malls, recreational facilities, and outdoor parks. The East End of Sudbury contains the neighbourhoods of Minnow Lake, New Sudbury, and Nickel Centre. As one of the more rural areas in Sudbury, you can expect to find ski hills, indoor pools, skating rinks, and an 18-hole golf course that is located within the Timberwolf Golf Club. With the occasional shopping mall or two present, this community is better suited towards those who prefer community-oriented outdoor activities as part of their entertainment. The West End of Sudbury is made up of the Copper Cliff, Onaping Falls, and Walden neighbourhoods. This is largely regarded as the mining district of Sudbury, with many miners choosing to live close to their place of work. Due to the relatively few shopping centers here, many citizens prefer to go to the more urban areas of Sudbury to get their shopping done. Being located near several of the city’s major highways, residents have easy access to any part of Sudbury in a matter of minutes. The North End of Sudbury is considered to be a ‘working class’ area, being home to smaller detached homes that take up small lots and were mostly built during the Great Depression. Since the 90s, a small number of newer developments have been built. These homes are large enough in size to comfortably host single families. There are also a few low-rise apartments available for rental within the area. The South End of Sudbury is home to a wide variety of townhomes, apartments, and high-rise condos. The downtown area tends to have the higher density of condos, especially on the main streets where many retail businesses also happen to be located. As for the townhomes and apartments, they are aggregated in the more rural areas of the South End. The East End of Sudbury contains homes that are relatively new in age, the oldest being about 40 years old. You can expect to find town homes, duplex houses, low-rise and high-rise apartments, and single detached family homes. With the widest diversity of house types in the city, there is something for everybody in the East End. The West End of Sudbury consists mostly of single and semi-detached homes that are suitable for single families. The homes here are around 50 years old, with a few select homes having being built during the 90s. Less than 10% of the homes here are apartments, and their small size is better suited towards bachelors and young professionals. Due to the smaller size of Sudbury compared to other cities, it does not have the same number of schools. Laurentian University, College Boreal, and Cambrian College are the three post-secondary institutions available to incoming college students. They are generally well known for offering bilingual and francophone programs, and having stellar arts and technology programs. When it comes to elementary schools (K-8), there are around 70 of them within the entire city. Some of them are public, while others are exclusively Francophone and/or Catholic. For those who take a special interest in the Montessori approach towards education, there are two schools (Montessori School of Sudbury, King Montessori Academy) that are available for enrollment. Over the past few years, students in K-8 have shown consistent improvements in EQAO scores (reading, writing, math) and this trend shows no sign of stopping anytime soon.